Bloo 'n' Stuff: Dreams Do Come True! "Never give up fighting for your dreams. They do come true." Gosh, I've been waiting to write this post for a LONG time and now that time has come I feel like I don't know how to put it all into words and do the experience the justice it deserves. As always it's your fondest memories and the things you're most passionate about that are the most difficult to write about but I'll try nonetheless. This story begins quite a while back now, November to be exact. 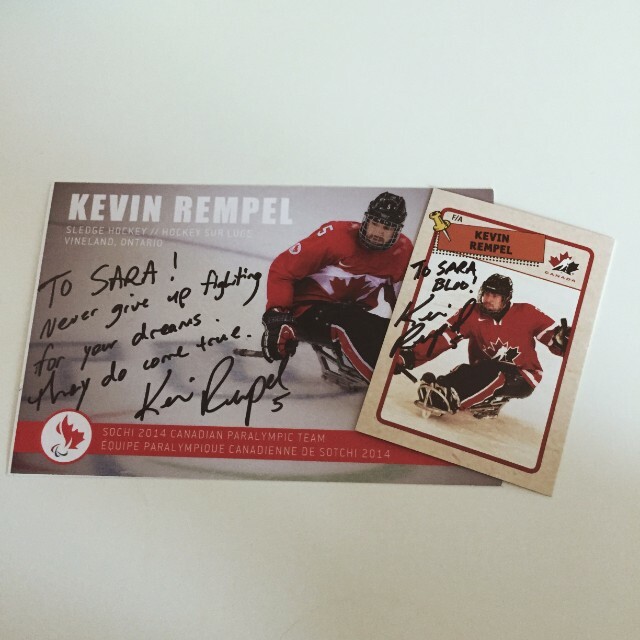 I'm pretty sure I've mentioned him before but for those of you that don't know, Kevin Rempel is one of my all time favourite sports people. I became rather obsessed with Ice Sledge Hockey last year when I came across it in the Sochi Winter Paralympics. It's an immense sport and if you haven't checked it out, I really recommend it. 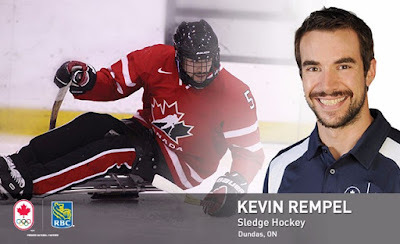 Kevin plays for Team Canada. I did some research into some of the athletes that caught my eye but nobody's story and personality quite captured me the way his did. It's the kind of story they make movies about. Overcoming tragedy and adversity, the sheer will and determination to achieve his dreams, the ultimate success and the hope to inspire and encourage others to follow suit. 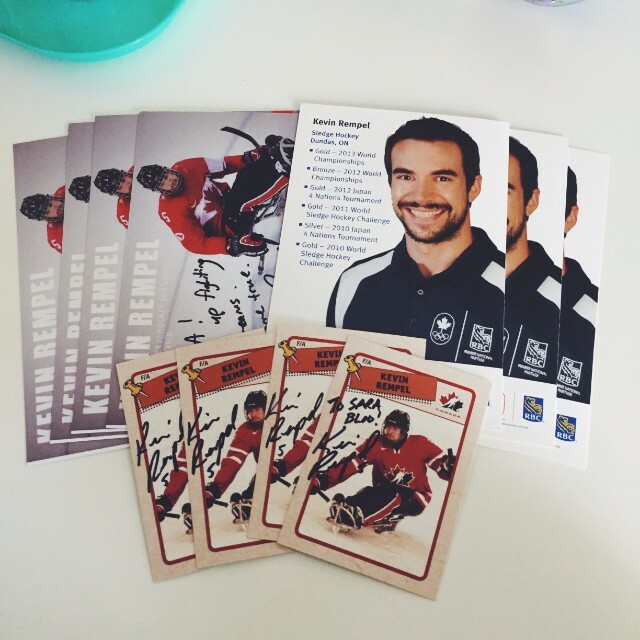 So yeah, needless to say I've pretty much stalked him since Sochi. Okay, stalked is a strong word. Bushes and binoculars weren't involved but I followed him on basically all available social media. In November he began taking part in Movember like many hockey players do. 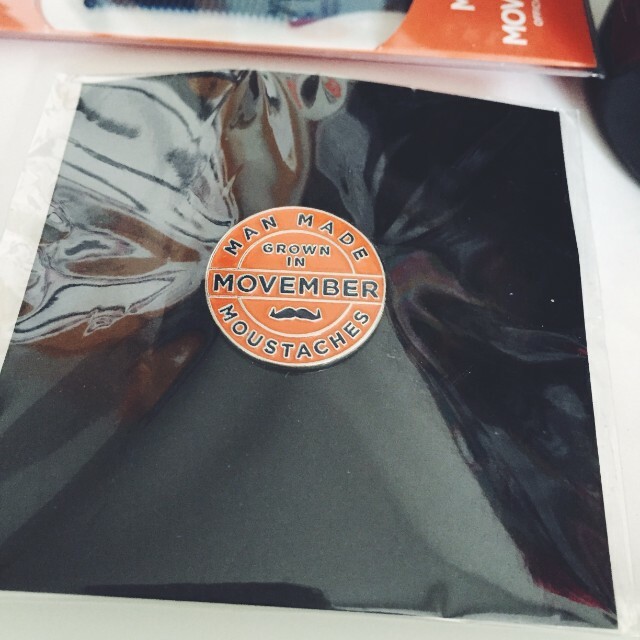 You can check out his Movember page and how much he raised here. 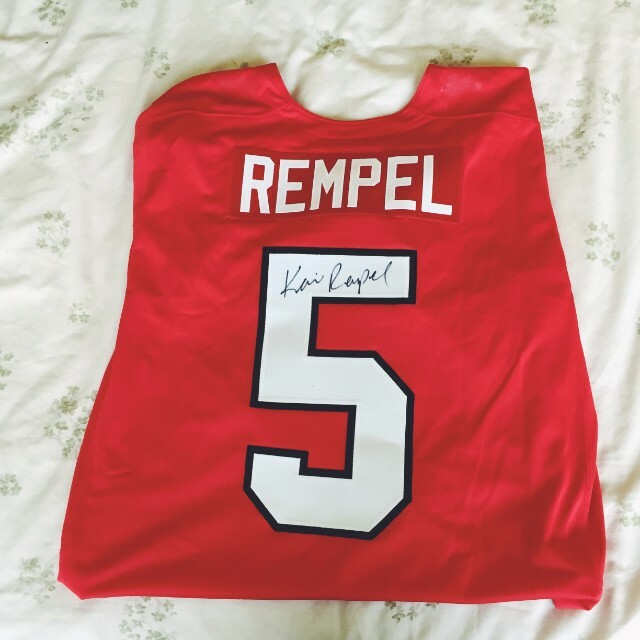 To give something back and an incentive for people to donate to the worthy cause, he decided to do a prize draw for those that donated $25 or more to win a signed Team Canada Rempel jersey. I had planned to donate anyway but I couldn't miss out on that chance even if I figured it was a SLIM chance. Despite my recent giveaway success, I've never had much luck when it comes to raffles and the like. My drawer full of Shirt Of The Back tickets is a testament to that fact. Anyway, I donated $30 and hoped for the best. Many other prizes were also added to the draw but the shirt was what I really had my eye on. On the 2nd of December I was sitting in the kitchen, watching The Vampire Diaries on Netflix with Eva, when I went on to Instagram and was hit with the words 'CONGRATULATIONS SARA TIPPING' accompanied by this video. I literally started shaking. I handed my phone to Eva and my exact words were "That can't be real, can it?" I couldn't believe it. My first thought was there must be someone else with the same name as me. It said to email my address to him, so with shaking hands I typed out an email that included my address and not too long later I got a reply. It all felt so surreal emailing someone I'd watched on television and followed online. On 18th of December he let me know he'd posted the package, gave me the tracking info and we planned to Skype on the 22nd of December. On the day I was oddly calm despite how nervous I'd been up until that point. I got a little shaky again when our agreed time approached but when we started the call I felt a lot better and my nerves subsided. He was as nice and personable as I'd imagined him to be. I'm not going to lie and say I was an amazing conversationalist but he really made up for it and he didn't make me feel awkward when I was lacking. It was so interesting hearing all about Sochi and seeing his bronze medal, which looked so much prettier and intricate up close. He also showed me his Championship ring which was quite a sight to behold. We talked about the Sochi Closing Ceremony. I remember watching it online and being in awe of the show they put on, so it was kind of mind blowing talking to someone who was actually there. He also showed me other keepsakes from the games. As much as I was interested in his ice hockey career I was also interested to know more about his motivational speaking. It's something I would love to be able to do myself and I'm in awe of anyone that can get up and speak in front of an audience. Something that was reinforced after my presentation panic attack fiasco. He also talked about a new project he's working on and asked me about my ambitions etc. I felt a little silly at this point because I'm still trying to work out what they are. All I know is I want to make a difference somehow. I want to be and feel worthy when people tell me I'm an inspiration, which is why I look up to him so much. Because he is. Not just because of what he's been through but what he's achieved. I figured when he asked me to Skype that it would basically be a quick hello and a little chat, maybe ten or so minutes. But no, he was kind enough to give me almost a whole hour of his time! He told me how stoked he was that someone so far away had won the draw and how surprised he was. I had felt a little bad since I was sure it would cost a bomb to post. He also mentioned that he'd checked out my blog! He told me if I ever had any questions or anything that I could contact again and before we finished I asked could I take a screen shot for the inevitable blog post I'd write about the experience. After I tried not to pick holes in anything I'd said or done. Now looking back I remember it as one of my fondest memories even if it still feels slightly surreal. I'm proud of myself that I didn't chicken out because I know I would have regret it. 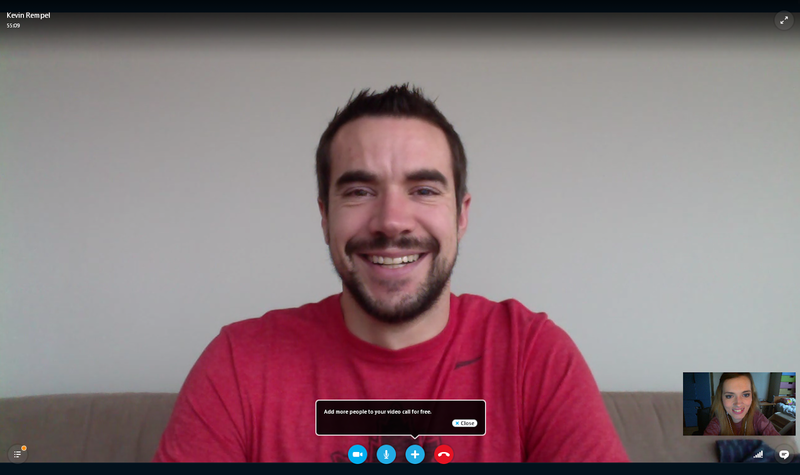 I thought I'd peaked when I found out I'd one the draw but being able to video chat with someone that inspires me so much and not have any disappointments after is something not many people get to do. I really can't thank him enough for giving me that opportunity. After tracking the slow progress of the parcel from Canada to the UK for what seemed like forever, it finally arrived on the 17th of February. You would think after all that time I would be eager to just rip it open but nope. I wanted to wait until I could properly savour the moment, so I opened it last Friday. You could tell he's travelled a bit. He has immense packing skills. Now on to all the goodies I got! 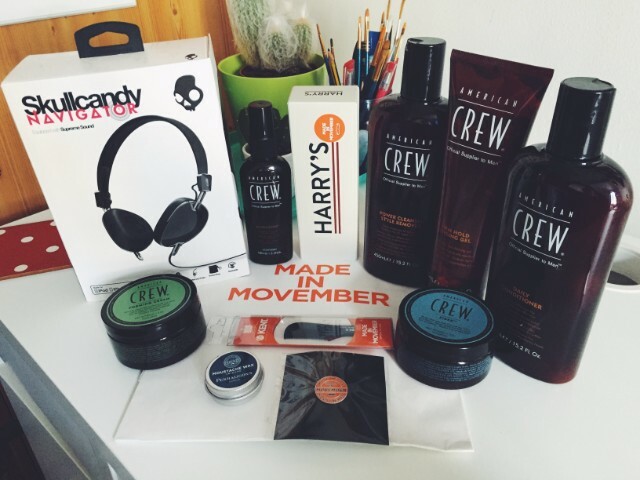 As it was a Movember prize and Movember is all about moustaches, some of it was targeted towards the male gender. But seeing as I have little if any regard for gender binary and having used my dads Lynx shower gel on occasion because I'm a rebel like that, I'm pretty sure I can make use of most of these goodies. First we have these awesome signed cards. The above two are my favourites. The bigger of the two also has a lovely little message written on the back. 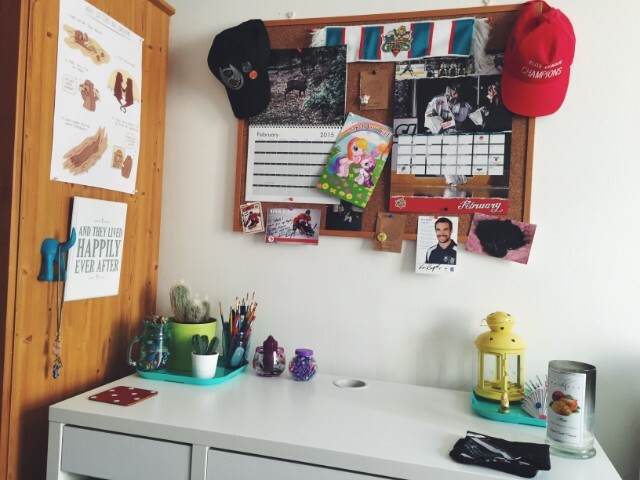 I pinned these two and one of the other ones on my pin board above my desk to help encourage and inspire me not to stop fighting for my dreams. 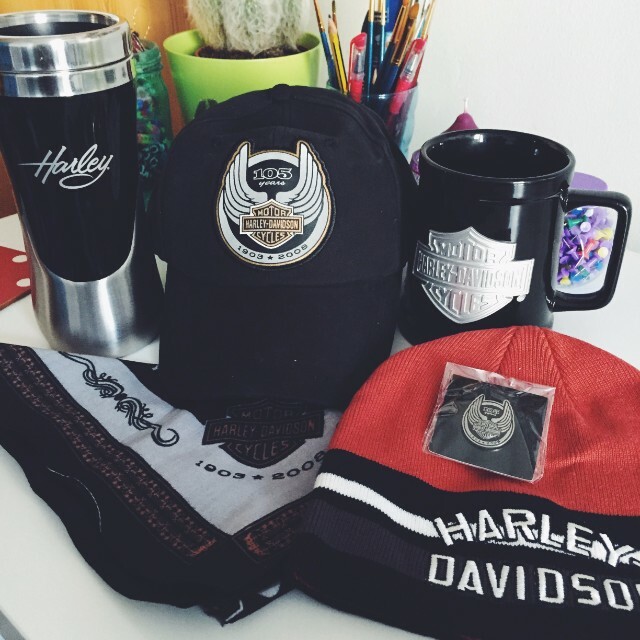 All this cool Harley-Davidson stuff! One of Kevin's passions is bikes and dirt bike riding. He'd said when we Skyped that he'd been tempted to keep the bandanna but it felt wrong. Seeing as I got so many goodies I really wouldn't have minded but I do really like it. Also anyone that really knows me knows how much I LOVE cups. 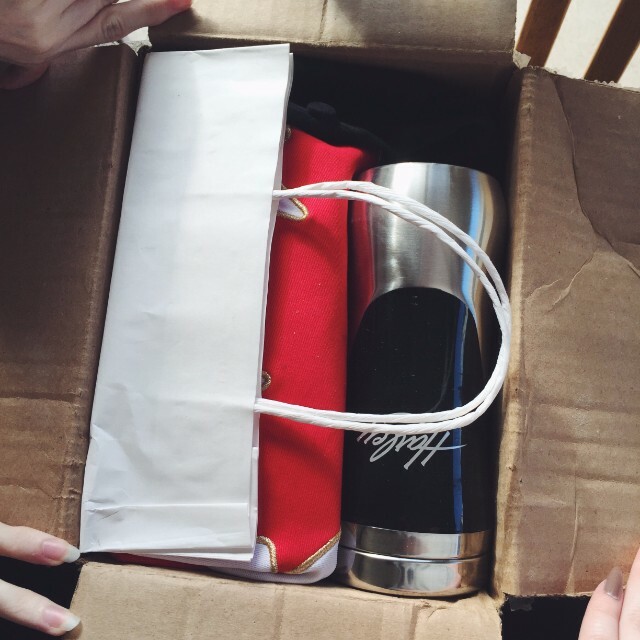 It's always my go to keepsake as I'm a big tea drinker. 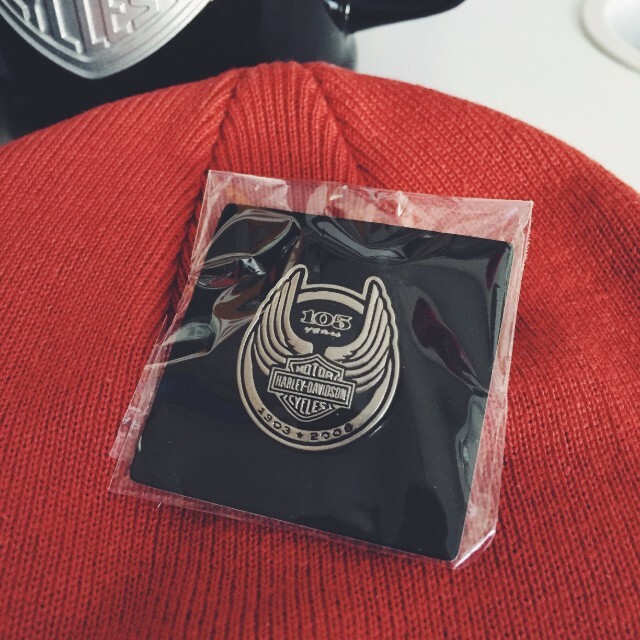 Another of my favourite kinds of keepsake is pin badges. Last year I started collecting the Disney ones but I love every type. These two are beautiful and quality examples. All the shower stuff etc smells so good. The stuff I can't use I might just keep around to smell every once in a while and pretend there's a man around. Kidding. Mostly. I've been using the Skullcandy headphones since and I love them. I've only ever had the inner ear type earphones so these are quite a novelty. I love that they say Made In Movember on one ear and Canadian Made on the other with a maple leaf. It makes them more special. It's so pretty. I am in love with it. 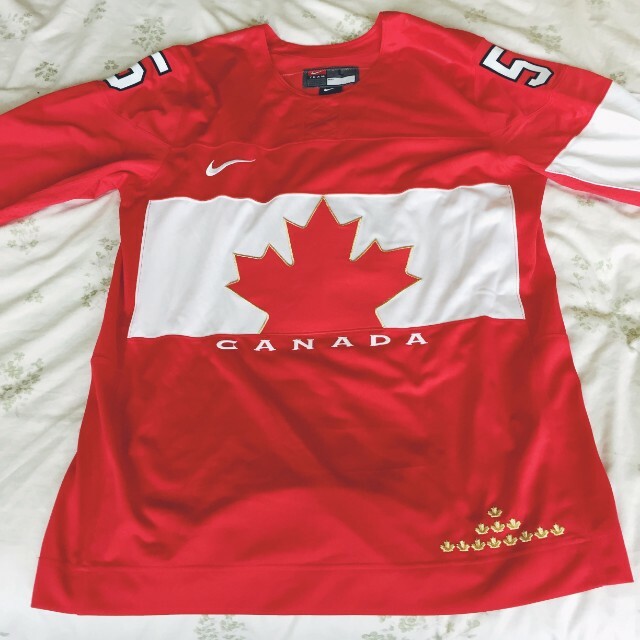 It feels and looks so different to the other jerseys I've got too, with it's rounded neck and such. I'm really so happy I won it and the rest of the other goodies. I barely told anyone about winning because it felt too good to be true. I wanted to wait until I had it in hand because knowing my luck it would get lost in the mail or something! But even now the whole thing feels surreal. 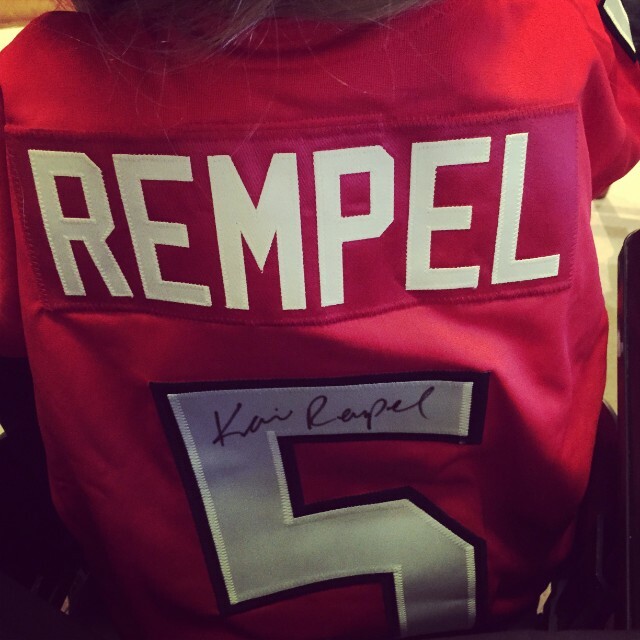 Such an amazing memory and keepsake to have. 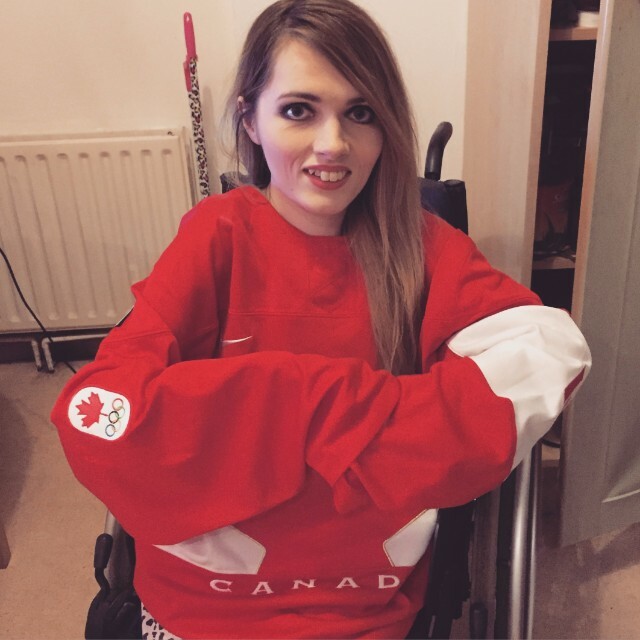 To finish off this super long post here is a couple of photos of me wearing the jersey! It's a large so naturally it drowns me like most of my jerseys but it doesn't feel half comfy. So yeah, I can't believe I'm finally writing all about this and I hope I did the experience justice. I feel like it boosted my confidence a lot and reminded me that if you're in it you can win it! It also made me think a lot about my dreams and what I want to do in the future and while I don't know for sure yet I know that as long as I keep working towards it, my dreams can come true. This is the best thing I have read in soooo long! It makes me so happy to know that you were so happy! What an amazing thing to happen to an amazing lady! I would be a mess if one of my idols made this happen to me, you did well to keep it all together, and all of the gifts are amazing and things I'm sure you will cherish forever! You go Sara Tipping! Ah I teared up reading this. SO chuffed for you. Aw Sara what a lovely post about an absolutely fab experience! The happiness it brought you just jumps off the page, well done!box a more superficial note you look awesome in the (oversized) shirt, and everytime I see your gorgeous face I have MAJOR cheekbone envy!